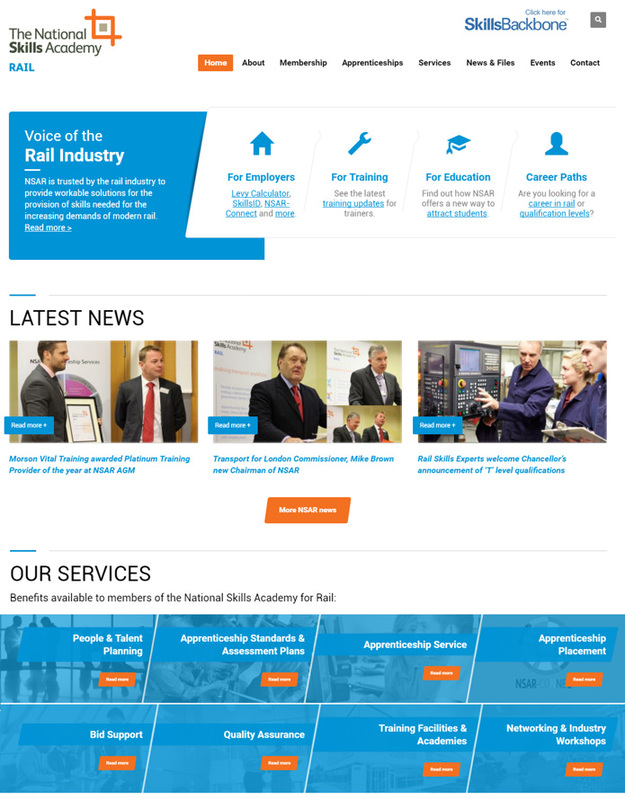 Primary Image designed this brand-new website for the National Skills Academy for Rail (NSAR), using the WordPress platform, which replaced their ageing Umbraco-based website. The National Skills Academy network was established by the government to create centres of excellence and tackle skills challenges in various industries, including railway engineering. 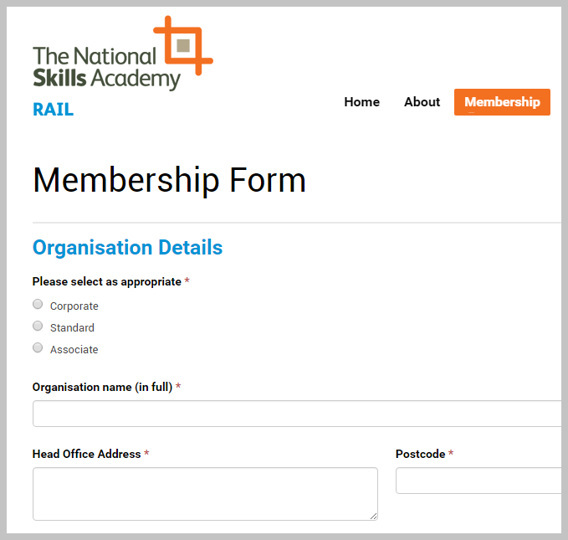 NSAR have over 360 member organisations from across the rail industry, including train operators, major engineering firms and universities. They organise regular workshops and networking events. 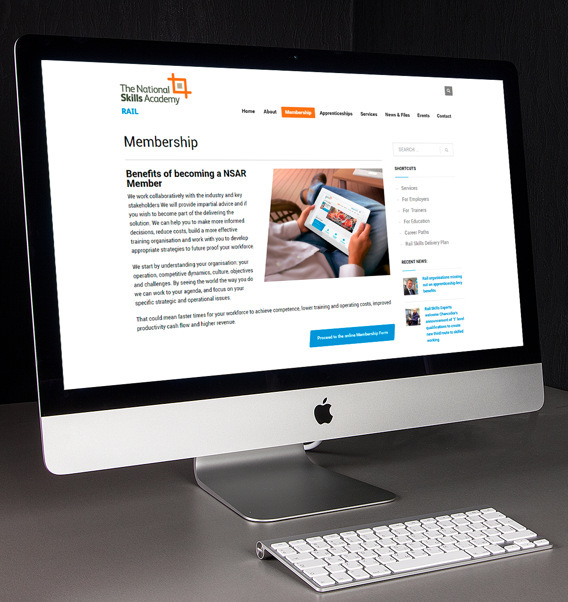 Why NSAR needed a new website? As the website had rapidly expanded over time, the structure had become confusing and outgrown its foundation. NSAR found the old website software (Umbraco) difficult to use, making the publishing process slow. Their old website was not mobile-friendly. They were keen to refresh and improve their online marketing. Their old Umbraco system was becoming costly to run. The home page, in particular, contained a lot of wording and wasn’t presented well to visitors. NSAR’s website was catering to lots of different audiences, so it was vital clearer pathways were introduced so visitors could be signposted to relevant pages. We handled the migration from the old Umbraco content management system, onto the new WordPress website, with no downtime or interruption in service. The new website was initially setup on a temporary account, so NSAR could preview and login to the website in progress. Our work involved copying the news archive from 2011 to 2016, totalling around 200 articles. We did this by running a crawler through their old website, which extracted the headlines, content and media files. Whilst this automated some of the process, we then manually checked each of the articles and applied new formatting where necessary. NSAR’s new website went live during an evening. As most of the website’s key sections had new URLs, we ensured visitors were automatically redirected to the new pages, which was especially important to preserve NSAR’s search engine listings. 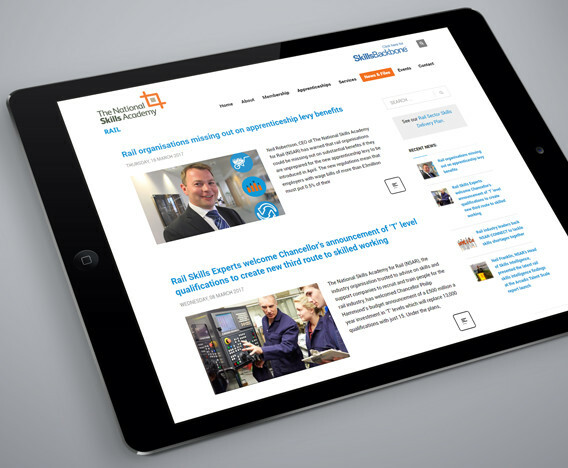 The new NSAR website is mobile-friendly, meaning it displays nicely (and fast) on smartphones and tablets. The website’s navigation was reorganised, with new landing pages catering to different audiences. All NSAR’s pages can be easily reached via a new “mega menu”, which allows links to be organised into blocks within the navigation bar. With security being a key consideration, the new website uses a secure HTTPS connection (with a padlock symbol in the web browser). The publishing process has now been improved, with dedicated screens for editing news articles, events and team members. Primary Image also ran a training session so NSAR could quickly become familiar with the WordPress editing system. NSAR also now have access to our visitor analytics reports, with summary stats emailed each week. We are proud of NSAR’s redesigned website. The concept and design were developed in collaboration with the design agency Primary Image. Throughout the process, it has been our goal to provide a clearer profile of what NSAR is about, with increased information content and greater user experience. The new NSAR website has a fresh new look with user-friendly navigation that allows users to quickly and easily access the information they need. If you’re moving from Umbraco to WordPress, talk to our team and find out how we can help you. Also, see the brochure design we created for NSAR.